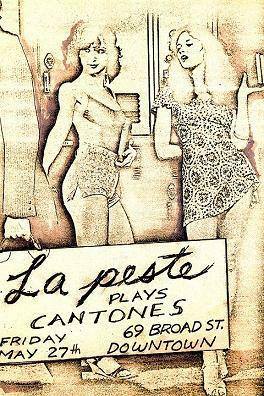 A punk rock powerhouse trio with dark, shadowy subject material and high-velocity wail, La Peste took its name (translated as “The Plague”) from the book by Albert Camus. La Peste’s appearance on the Boston scene at the tail end of the 70’s was sudden and striking. Fronted by the tall, dark, and handsome Peter Dayton, the band blasted out of its rehearsal hall/apartment and quickly made a mark in the local circuit, winning a high-visibility 1978 Battle of the Bands at the Inman Square Men’s Bar in Cambridge, releasing a superb local single (“Better off Dead” b/w “Black”), and reaching the finals of WBCN’s “Rock and Roll Rumble” the following summer. Having learned little more than the drone and drive necessary to play punk music, La Peste nevertheless learned how to do it better than any other band in Boston for a time. 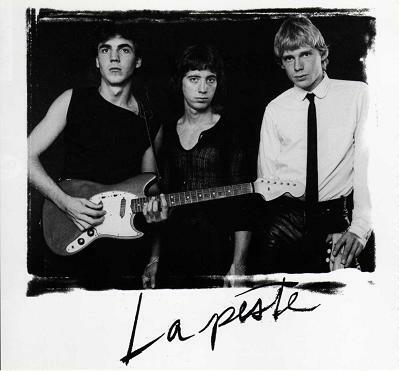 As the group’s profile continued to build, all signs pointed toward a major label record deal and national breakthrough for La Peste, but it was not to be. 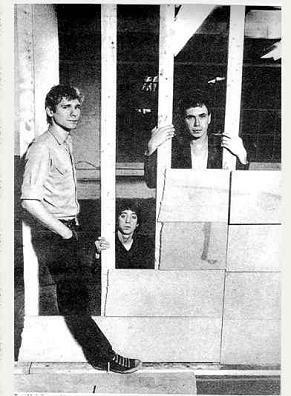 In 1980, the band’s lead guitarist and singer left to form his own Peter Dayton Band, which would go on to release a few independent records and be linked with Ric Ocasek and members of The Cars. Meanwhile, everyone expected the remaining lame ducks in La Peste, Mark Carl and Roger Tripp, to pack it in after Dayton’s departure. But the rhythm section soldiered on with new frontman Ian Stevens, producing a slightly friendlier rock attack and playing the Boston area for a few years before calling it quits. Sadly, Roger Tripp died in a car crash on New Year’s Eve, 1993. Three years later and in Tripp’s memory, Matador Records released an excellent compilation of La Peste’s single, tapes, and live 1979 set at the Rat which remain the sole document of this band’s substantial impact. La Peste on The Oedipus Project - with concert footage!